Christmas Parade — Raptor Education Group, Inc. Sharing some photos from the City of Antigo Christmas Parade. We had a great time with the theme " Picture Perfect". Wildlife is always picture perfect. This was our second time participating in our hometown Antigo parade. It is great to have an additional outlet to educate about the joy of wildlife. It was a bit chilly, but nothing compared to the Arctic chill that will be upon us this coming week. 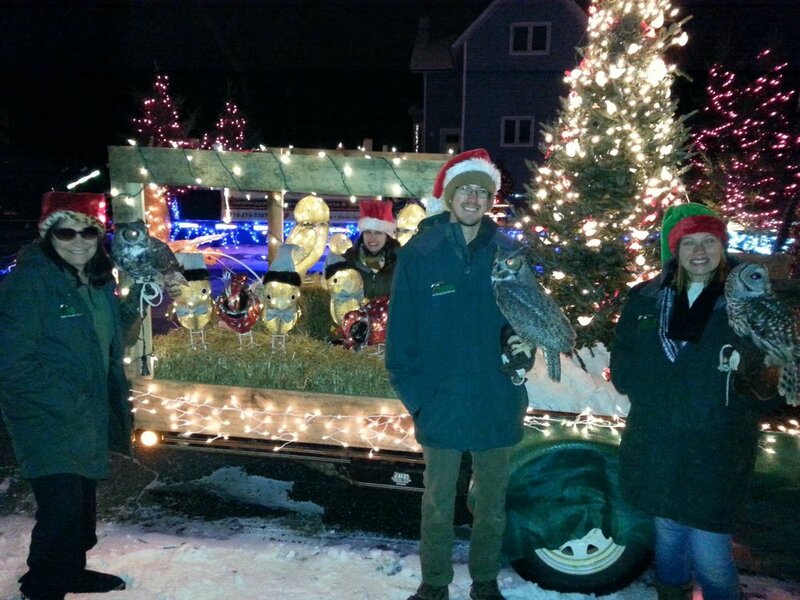 We were able to have some of our hardy owls participate in the parade to the joy of many parade goers. Enjoy some of our photos.